Ricard, a defensive lineman, will get a chance to make the team as an undrafted free agent. Pat Ricard admitted he was disappointed that he didn’t get selected in the NFL draft. But he’s not going to complain. Ricard, a University of Maine defensive lineman, agreed to a free-agent contract Saturday night with the Baltimore Ravens after the draft was completed. He will report to their upcoming rookie mini-camp. “It would have been cool to say I was drafted,” Ricard said late Saturday night by phone from his home in Spencer, Massachusetts. “But at the end of the day, I signed with a team and I’m happy. Ricard, 22, was one of the Black Bears’ top players in the four years he played there, finishing his career with 208 tackles, 47.5 tackles for a loss and 18 sacks. He had an outstanding senior year, with 50 tackles, 15.5 for a loss and 5.5 sacks. He was a first-team all-Colonial Athletic Association selection and a third-team STATS FCS All-American. 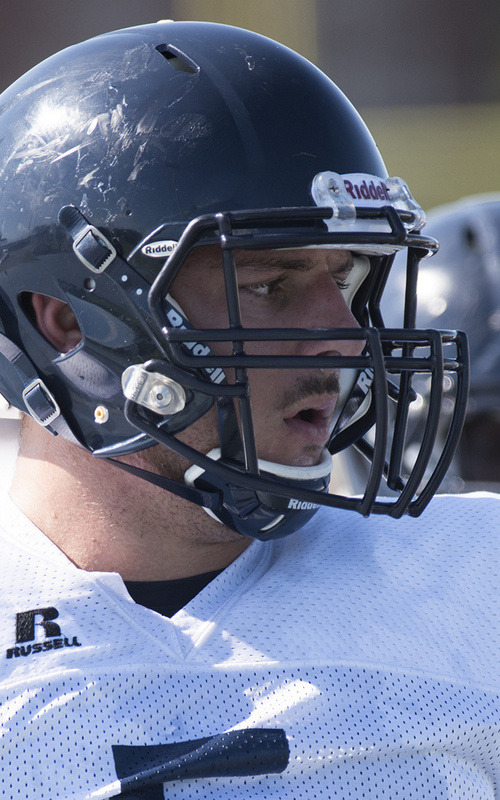 The 6-foot-3, 300-pound Ricard had an impressive Pro Day at Maine in March, lifting 225 pounds a personal-best 33 times. His vertical jump was 33.5 inches and his best 40-dash time was 5.0 seconds. Ricard, who graduated in December with a degree in economics, put on 15 pounds after his college career ended to make himself more attractive to NFL teams. He became stronger without losing any of his mobility and versatility. Projected as a down lineman, he can also play on the edge. While he never visited the Ravens – Ricard had workouts with Washington, San Francisco, New England, Atlanta, Indianapolis and Buffalo – Ricard said he was in contact with them the last two weeks, either by text messages or phone calls. Then he got a phone call from Baltimore Coach John Harbaugh on Saturday. Maine Coach Joe Harasymiak said Baltimore scouted Ricard in the fall and kept in contact throughout the season. “It’s a great fit for Pat,” he said. The Ravens, who lost veteran defensive lineman Guy Lawrence as a free agent to the Patriots, have openings on the defensive line. The Ravens also play a tough, physical style. Ricard said his years at Maine prepared him for the next step in his football journey. Harasymiak knows Ricard will carry that edge with him into the Ravens’ locker room.